My thoughts on being a professional photographer and the stuff I learn along the way. Occasionally, some light makes its way to the forest floor which adds some nice contrast. 0.5 sec @ f11, ISO 200. 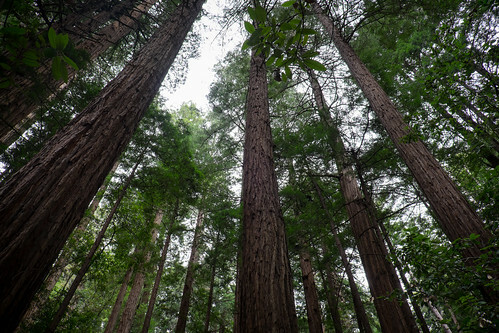 If you are visiting the San Francisco Bay area, I urge you to take the time and plan a visit to Muir Woods National Monument. 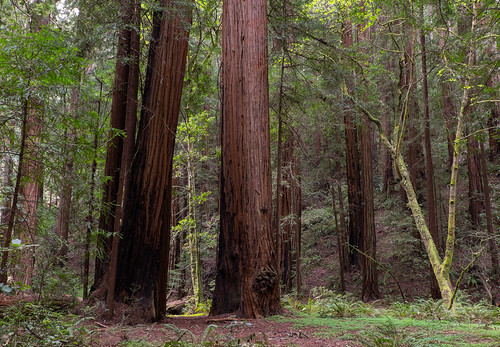 Located just 12 miles north of the city in Marin County, California, and part of the Golden Gate National Recreational Area, Muir Woods features 240 acres of old-growth Coastal Redwoods and plenty of photographic opportunities. 1. Lens selection. I would probably leave the telephoto behind, but that doesn't mean you need to bring only super wide-angle lenses. 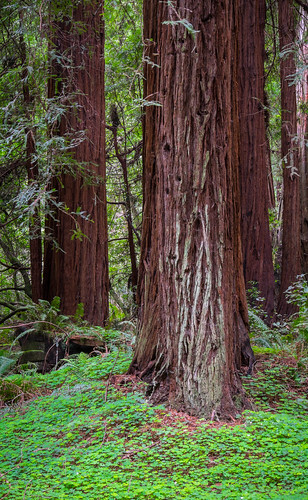 The Coastal Redwoods are big and everywhere, so you will not need a telephoto to see them, but adding something in the 70-120mm range would allow you to compress a scene or reach some trees that may be a little further off the path. 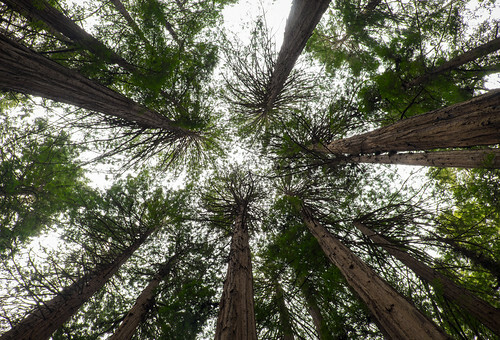 A longer lens could als come in handy if you want to aim up into the canopy. As someone who does not shoot a lot of verticals, this location was the exception. 1/2.3 @ f18, ISO 200. 2. Don't forget the tripod. You will be doing a lot of walking during your visit and you might be tempted to leave the tripod behind. Don't. Even during a bright sunny day, not much light filters down to the forest floor, forcing you to shoot at very slow shutter speeds even if you have fast lenses. And even thought tripods are allowed in the park and the paths are fairly wide, remember to be courteous to other visitors, especially during busy times. 3. Stay on track. Photography is allowed throughout the park, but you must remain on the paths. There is an easy loop path with an occasional trail that branches off. It took me about four hours to make the loop, but you could certainly do it in less. My recommendation would be to spend the whole day and plan on making several trips around the loop or take advantage of a ranger-led program. 4. Get there early or late. Normally this tip would refer to taking advantage of the best light, but in this case it is all about the parking and crowds. Parking is very limited, especially on weekends, but even during my weekday visit, I noticed parking was gone, even a mile down the road, when I left the park around 2 p.m. Another option would be to take the Muir Woods shuttle which runs on the weekends from April 4th through October 25th. The park is open from 8 a.m. to sunset. 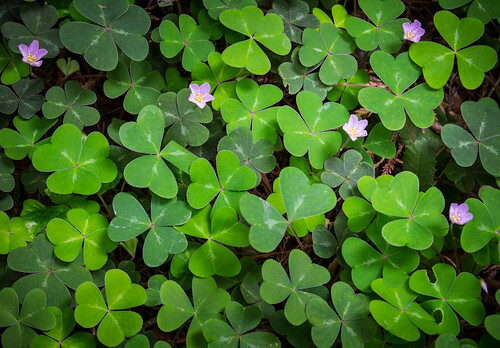 Redwood sorrel is just one of the shade-loving plants that thrive under the redwood canopy. Look for wildflowers in winter and early spring. 1/13 @ f4.5, ISO 200. Shooting from a low angle with a wide angle lens enhances the grandeur. 1/8 @ f8, ISO 400.